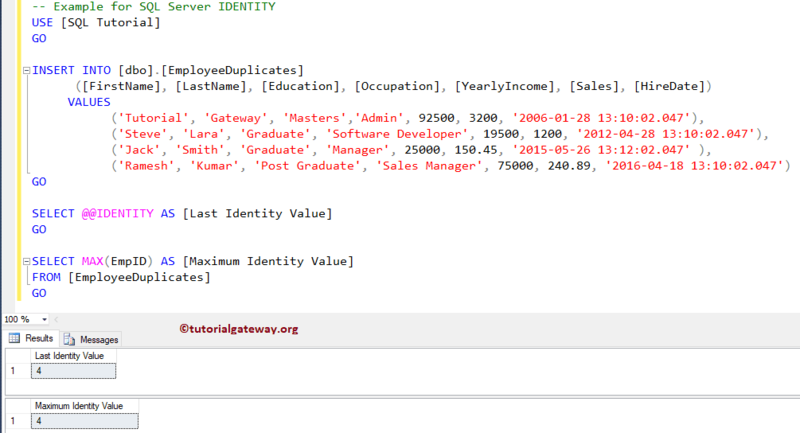 The SQL @@IDENTITY is a System Function that returns the last inserted identity value. 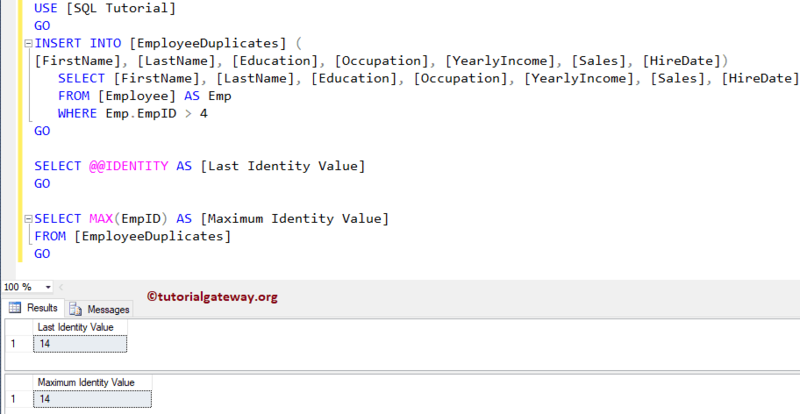 You can use this @@IDENTITY after an INSERT, INSERT INTO SELECT, BULK INSERT, or SELECT INTO Statement is completed to find the lastly generated identity value. And, if there is no insert operation happened then it will return NULL. 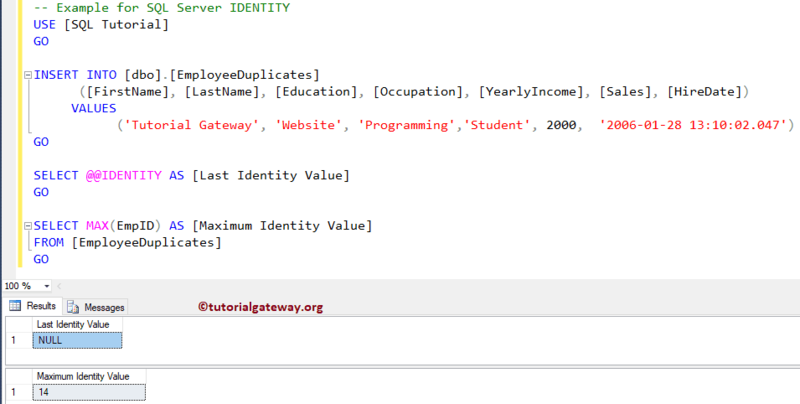 In this article we will show you, How to write use this @@IDENTITY in SQL Query to extract identity value with example. 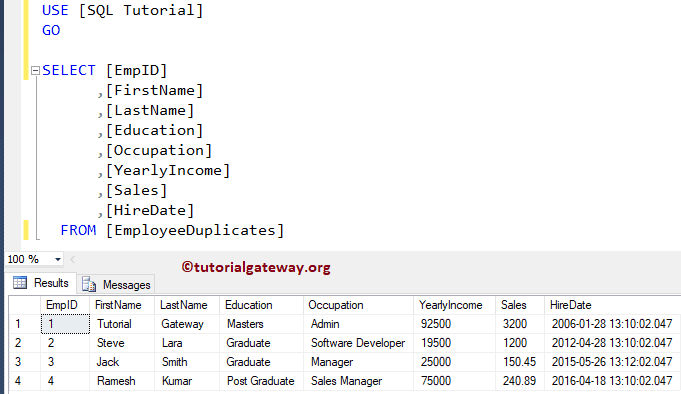 For this we are going to use the below shown table data. 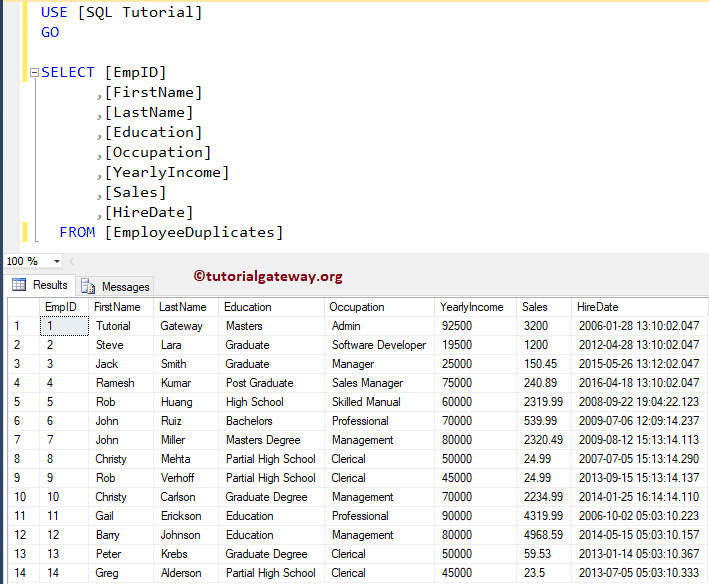 We are creating following table to insert the data into it. 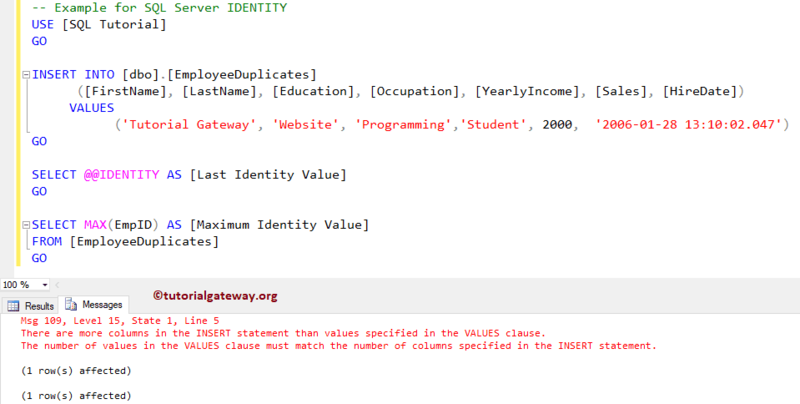 In this example first, we will show you what will happen if the Insert statement fails for some reason. 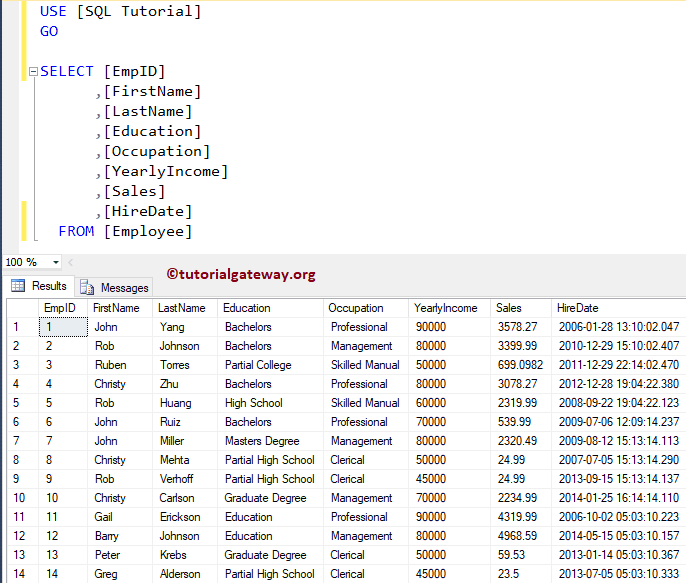 To demonstrate this SQL @@IDENTITY, we are deliberately failing the insert operation. As you can see, It is returning NULL value.